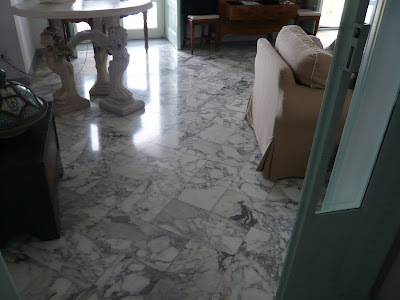 For part of my recent vacation, some friends and I rented a villa in Sorrento. 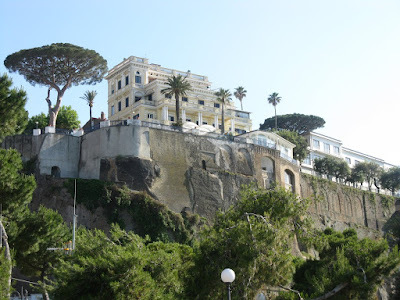 The villa sat on a cliff overlooking the Bay of Naples and was a glorious structure. 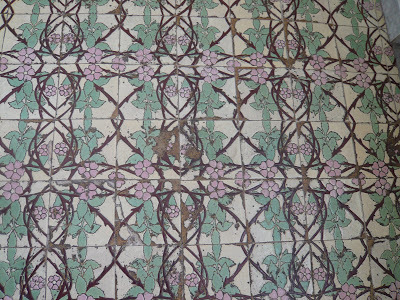 It had been built originally by a German baron in the mid-19th century and still had most of its original floors. 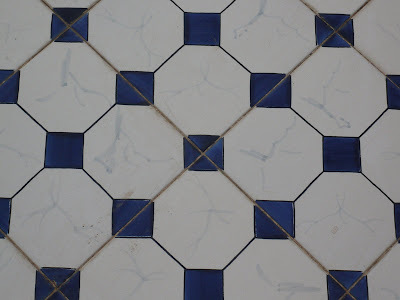 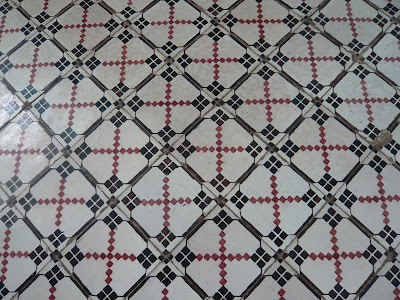 I specify floors all the time and it was interesting to spend some time living with Italian originals. 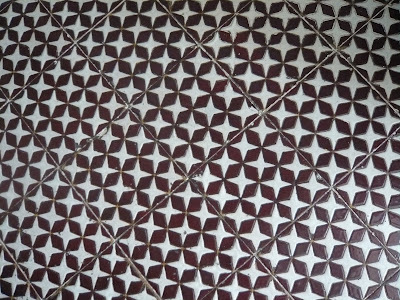 Most of what was in the Villa Terraza was glazed terra cotta, although the marble herringbone pattern in the living room is one I'll be using in an upcoming project, count on it.